Here at Which Real Estate Agent, we think that property reports are really useful. That’s why we offer a free property report (worth $50), provided by CoreLogic to anyone interested in selling their property. In this guide, we’re going to explain what a property report is, what’s included in it, why we think it’s a great idea that you get one and how you can get yours today. Where Does the Property Data Come from? What’s In A Property Value Report? Property reports are a synthesis of relevant property and market information, presented in an easy-to-read format for both vendors and buyers. It includes information on a selection of areas, including your own property, a value estimate, local recent sales, properties which are currently on the market and current rental income for similar properties in your area. Obviously, not all of this information is relevant to you as the seller, but they are a good jumping off point for property market information. We recognise that they can seem overwhelming if you’re a first time seller, presenting you with all this data and no explanation which is one of the reasons why we recommend getting a property report as well as an appraisal by local agents. They’ll have similar data but they’ll be able to tell you what all of that means for you and for your house sale plus they’ll be able to enhance that information with what they’ve learned from appraising your property. The main reason people seek out a property report is to get a property value estimate. We’ve written before about the best ways to get estimates on the value of your property and ranking Australia’s best property valuation sites. We think the methods mentioned in that article are all great (otherwise we wouldn’t have told you about them) but we always recommend using any of them alongside an appraisal from a real estate agent. Because of their training, their experience and their knowledge of the local area, real estate agents will always be best placed to give you an accurate estimate on the value of their property. It’s best to get more than one value estimate from various different sources to see if they are comparable – if not, you’ll want to find out why. Local agents are best placed to provide value estimates based on what should be an intimate knowledge of the local area, its neighbourhoods and amenities. You can even do a value estimate by yourself! With the wealth of information out there about property values and the property market, it’s pretty easy to do some basic Comparative Market Analysis. Since property reports are entirely computer generated, they’re only as good as the data that’s fed into them. 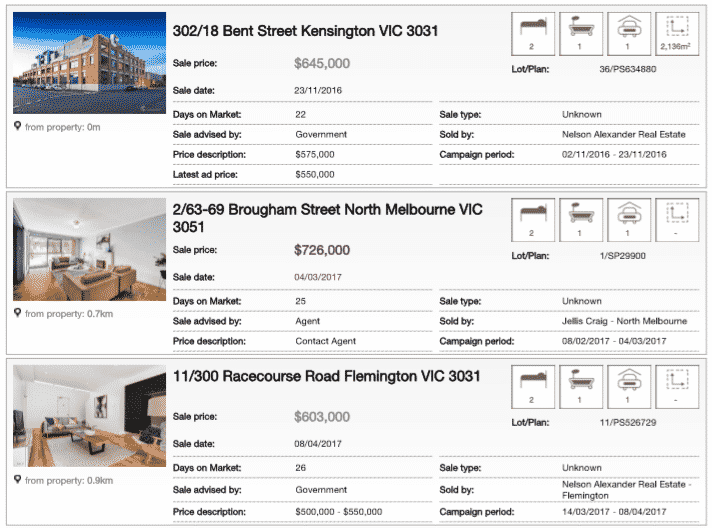 Although many property sites on the market are currently advertising property reports, not all of them are created equal. Here at Which Real Estate Agent, we offer a free property report, worth $49, with information provided by CoreLogic, ‘the most comprehensive provider of property data to the real estate industry’ and their clients include the Reserve Bank of Australia and realestate.com.au. Domain, another big player in the real estate field, use APM Price Finder, a service used by over 70,000 real estate agents across Australia who have 30 years experience and thus, 30 years of data collated. Other property reports might be collated from data collected by the company itself – if this is the case, then you risk getting a report based on a small sample of sales, thus making it less accurate, as well as not knowing how the company itself has influenced that data. One of the things we like about CoreLogic is that it’s 100% independent of any banking or real estate interests so we feel confident that we’re giving you the most up-to-date, unbiased information when you get a property report from us! When you ask for a property report, you’ll be asked for your address. This will appear top of the report, along with how many bedrooms, bathrooms and car spaces your property has. It might give you an idea of the area of the lot on which your property sits, along with showing it on a map. Your zoning information and the lot/plan number will be included – this means you can search your property on your council’s planning website and find out what planning legislation is relevant. A lot of this won’t be new to you as the owner but it’s useful for verification purposes. It’s mostly included for people who are getting the report because they’re looking to buy property. Most people get a property report because they provide an estimate on the value of your property. The estimate is produced by a computer, usually using a process called comparative market analysis, where the computer looks at recent local sales of properties similar to yours to work out what yours might be worth. It’s important to remember that this is only an estimate – you can’t rely on it as being an accurate representation of the value of your property. Reports might also give you an estimated value range as well as a single estimate. As more and more houses are sold at auction, having a range of prices can give you an idea of how high the bidding might go, and what the largest amount of money you can expect to get is. Some property reports (including Which Real Estate Agent’s) include a degree of confidence in their property value estimate. Where there is a high availability of comparable data, for example in a fast-moving, urban property market, then you can be more confident in the estimate and the range that you’ve been given. This will tell you the last known sales and rental campaigns for your property and its sales history. From this, you’ll be able to see how the value of your property has (hopefully) grown in the last few years as well as how many times it has changed hands before you bought it. Much like the property details, this information is aimed at buyers who get the report, rather than vendors. Buyers will be able to use this data to decide if the property represents good value for money, if it has had a consistent increase in value across a period of time and whether it has had a high or a low turnover rate. A high turnover rate might indicate that there’s something wrong with the property and put of potential buyers. This is something you might want to discuss with a real estate agent, who will have insight into what might have caused it, especially if you love the property and can’t fathom that there’s anything wrong with it. The computer used them to work out what your property might be worth – so why not show you? By looking at how property’s been selling recently, you can make decisions about whether the market looks to be in your favour or whether it might be better to wait and sell at another time. You can also use it to work out if you think the estimate is a reasonable one or not. This can be hard to tell from just an exterior photo and the bedroom/bathroom count, and is another reason why it’s important to speak to agents who will not appraise your property in person but will have appraised other properties locally. The report might also tell you which local agencies have sold in your area. It can be a good way to scope out potential agencies to look at when selecting an agent. You can compare those agencies to the top local agents that Which Real Estate Agent will be able to recommend to you. 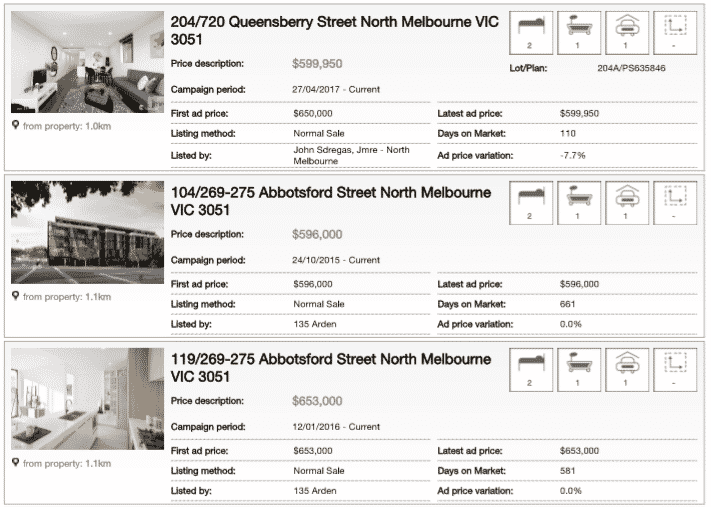 Seeing what’s on sale in your suburb or area will let you see where your property sits in the current market. Do you think the estimate is accurate compared to what else is out there? Looking at how long those properties have been on the market is really important as well; if properties are selling quickly, it’s probably a great time to sell. If properties have been on the market for a long time, that’s less good for your selling prospects. Take these numbers with a pinch of salt though because properties which appear similar on the outside might actually be really different on the inside, meaning that they can command different prices in a sale. This is another reason why property reports are a great first step but can’t be relied upon to provide all of the information needed to make a decision about selling your house. All in all, we think property reports are a pretty great tool to have in your arsenal when you’re looking at selling your property. Not only do you get an estimate on the value of your property, but you get a quick guide about the property market in your area and your property’s sales history. So now you know why you want one, the obvious next question is where you get it. Like we mentioned before, Which Real Estate Agent can provide you with a free property report, worth $49, from CoreLogic, the leading provider of real estate data in Australia. You can see a sample property report here. It’s really quick and easy to get your report – you’ll get it straight to your inbox, just click that link. Once you’ve got your report, the next step on your property selling journey is getting appraisals from top local agents. Which Real Estate Agent specialises in finding top agents for property sellers, so you can be confident that you’re getting recommendations to some of the best agents in your area. It’s quick, easy and free – our expert team will shortlist agents for you so all you have to do is pick one!